Riding on the wave of China’s “Uncle Aamir” phenomenon, the latest Indian film to cross the Great Wall and strike a chord in China appears to be the Irrfan Khan-starrer, Hindi Medium. Within just two days of its release in China, the film has made more than Rs 35 crore, which is five times more than its opening at the Indian box office, in 2017. Following the record-breaking success of Dangal last year, which made Rs 1,330 crore in China, Chinese filmgoers’ growing appetite for Indian films has encouraged both Indian and Chinese distributors to expand Indian content. China only allows around 30 foreign films every year, most of which are Hollywood releases. However, that seems to be changing now. Experts from the Chinese film industry say that much of this success is due to the special connect that Aamir Khan, known in China as “Uncle Aamir”, has appeared to achieve. This started with 3 Idiots, which became a cult favourite among Chinese university students. Aamir has made annual visits to China since 2015 and maintained contact with fans through a Chinese Weibo account that has more than 1 million followers. Just last month, Salman Khan-starrer, Bajrangi Bhaijaan, which released in China on March 2, became another box-office success, crossing the Rs 250 crore mark in just three weeks and has become the third-highest Indian release after Dangal and Secret Superstar (Rs 768 crore), and ahead of PK (Rs 123 crore). This was despite the fact that the film released in China, two years after it hit the screens in India. It was widely downloaded on China’s internet. Now, the ‘Aamir factor’ appears to be working for ‘Hindi Medium’, which has made a strong opening and received rave reviews as well. 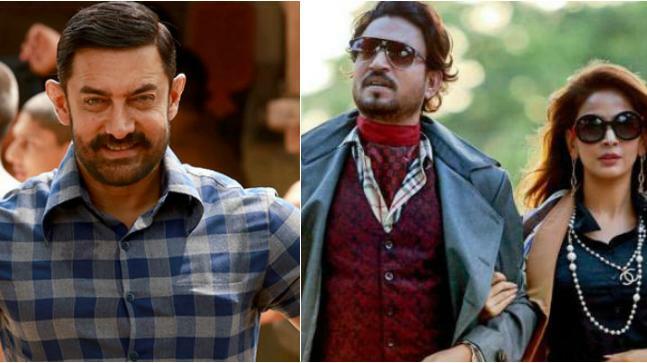 Chinese fans say unlike commercial Chinese releases, films such as Dangal, Secret Superstar, and now Hindi Medium, have worked in China for taking up social themes, coupled with a strong emotional connect that is missing in many local films. “Many comedy movies in India make audiences cry. Both sorrow and happiness exist in the same story, which is most impressive,” wrote one blogger on Weibo.